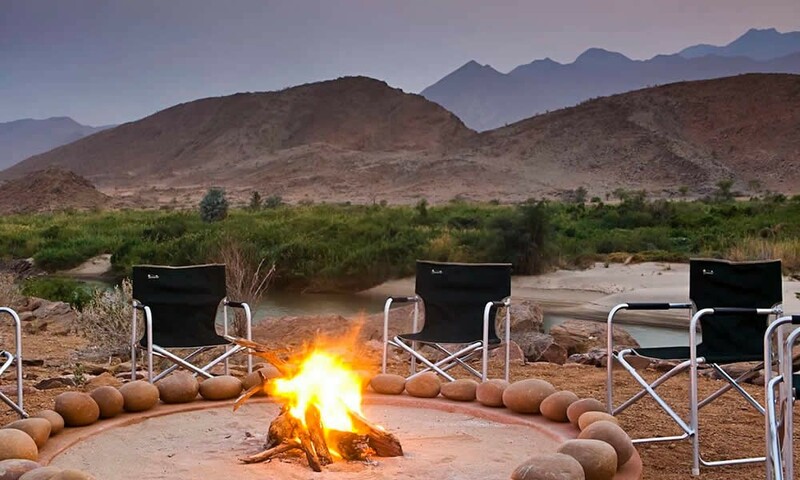 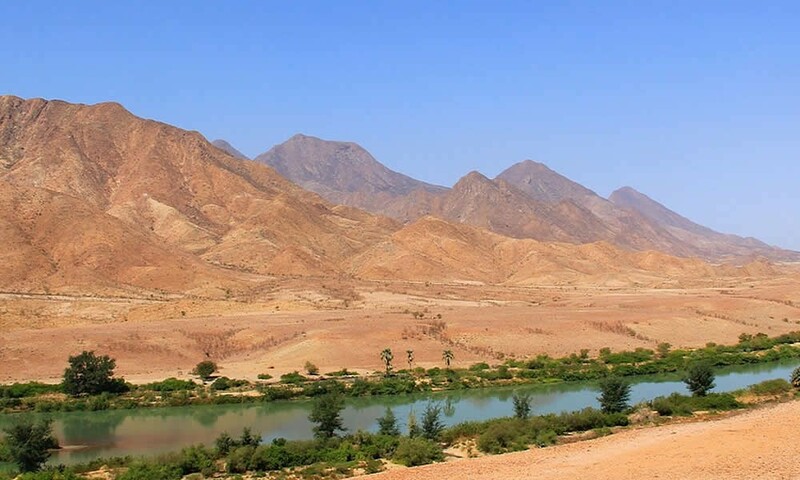 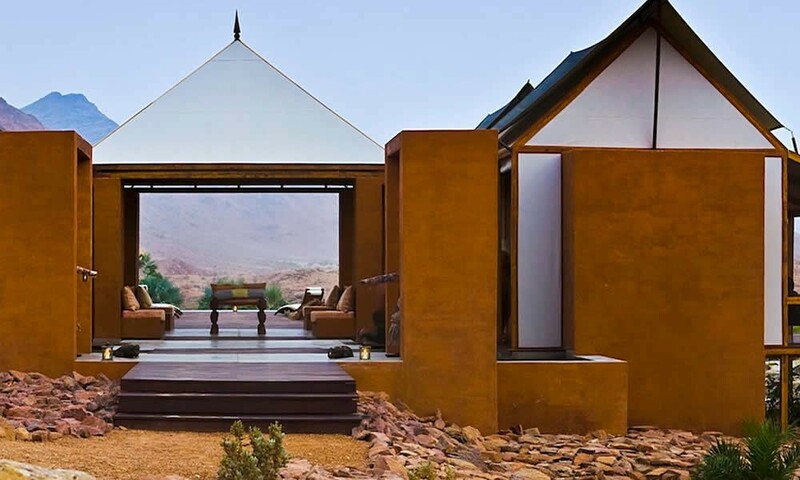 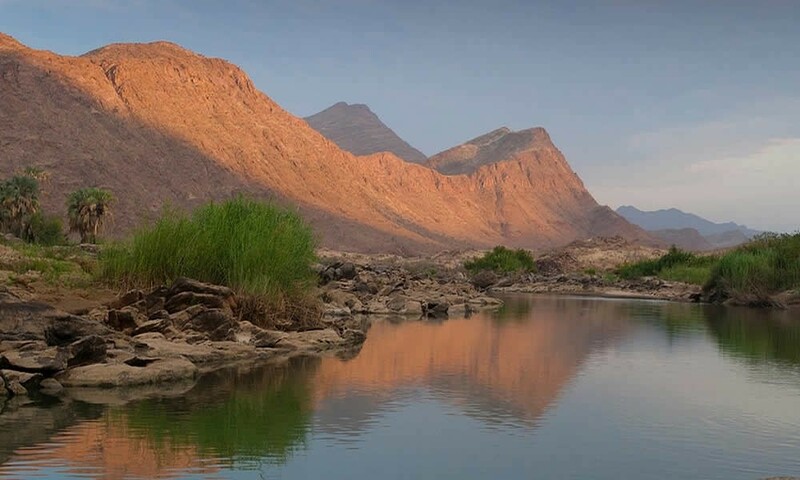 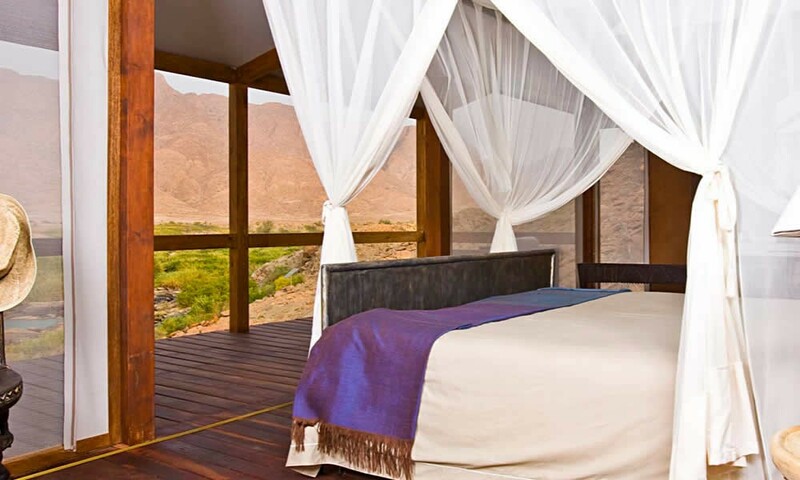 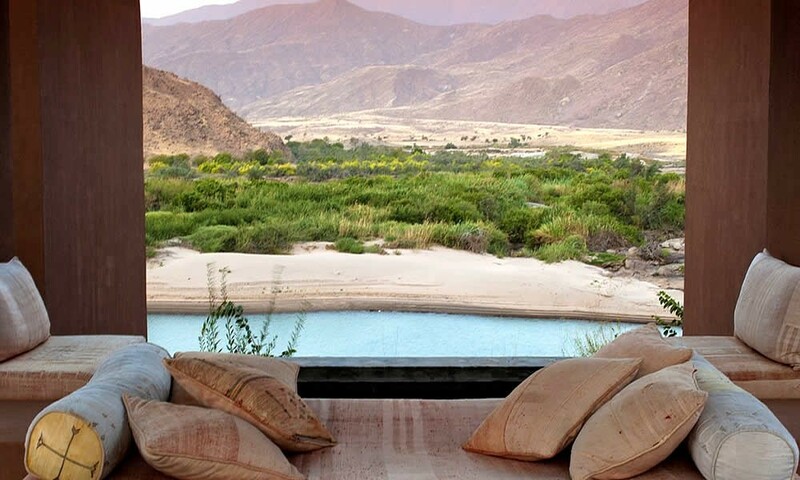 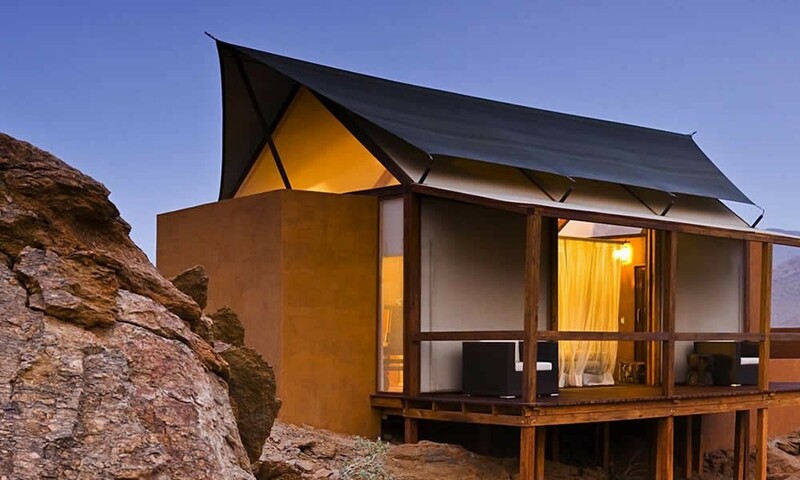 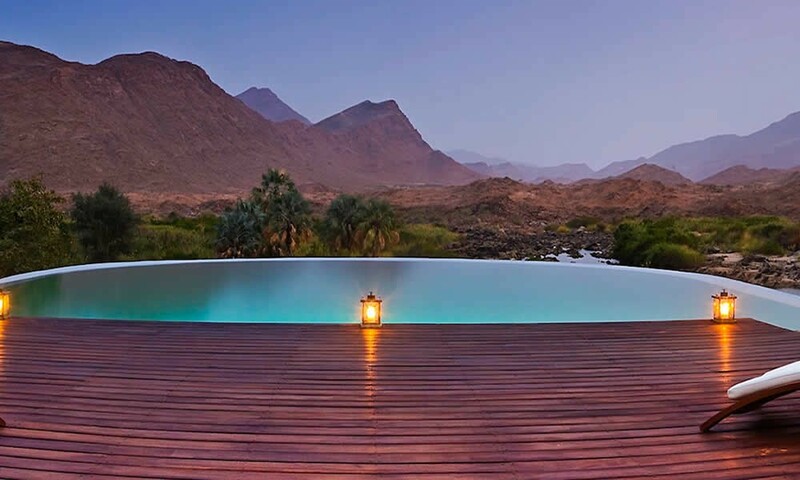 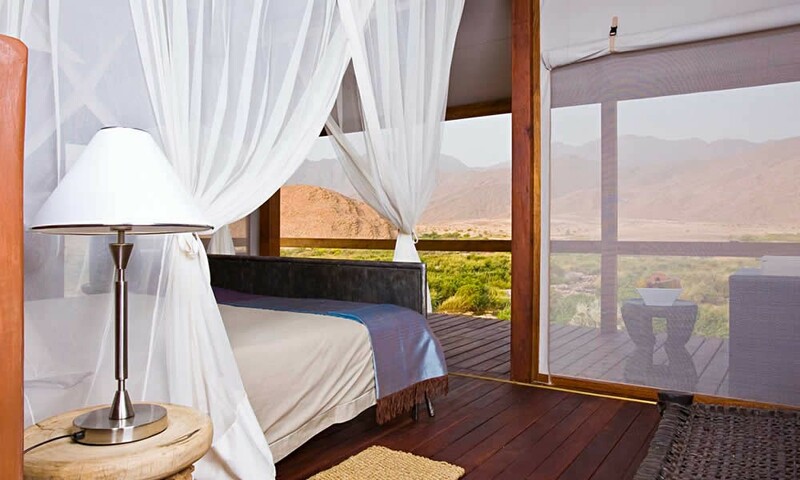 The River Camp is an eco-friendly Lodge tucked in a pure wilderness on the Kunene river; it is totally solar-powered. 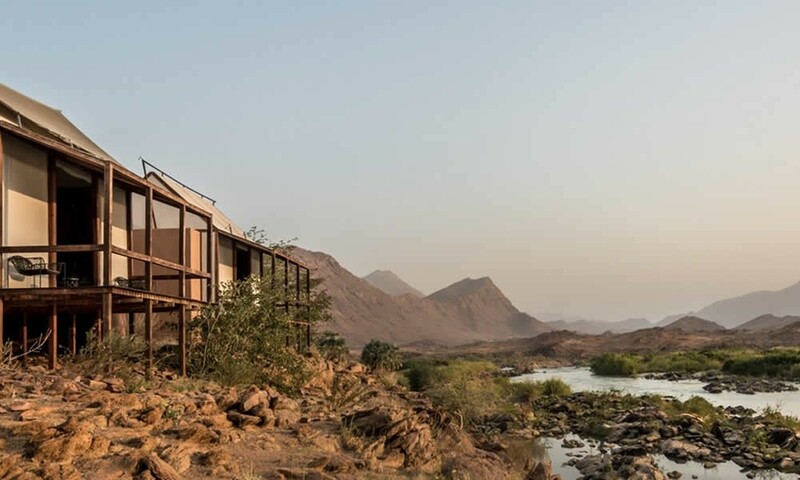 Cleverly built into the rocky terrain all the accommodation is constructed with wood and canvas and each has a magnificent view of its own. 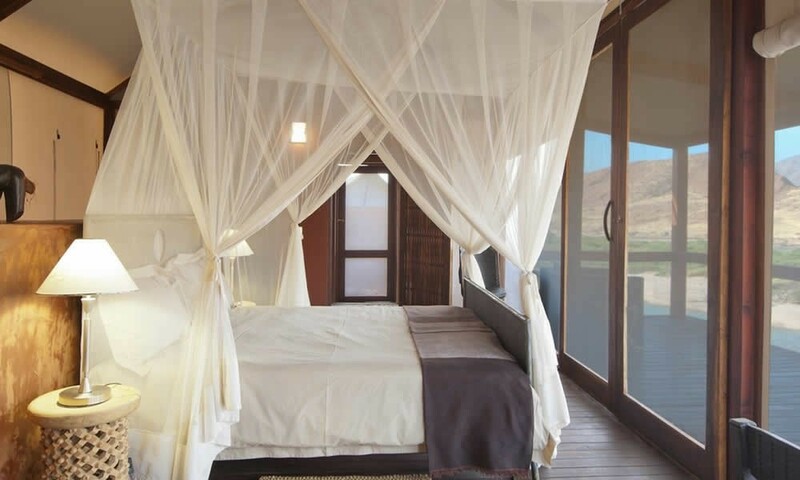 70 square metre cottages have a private bathroom and a spacious private deck. 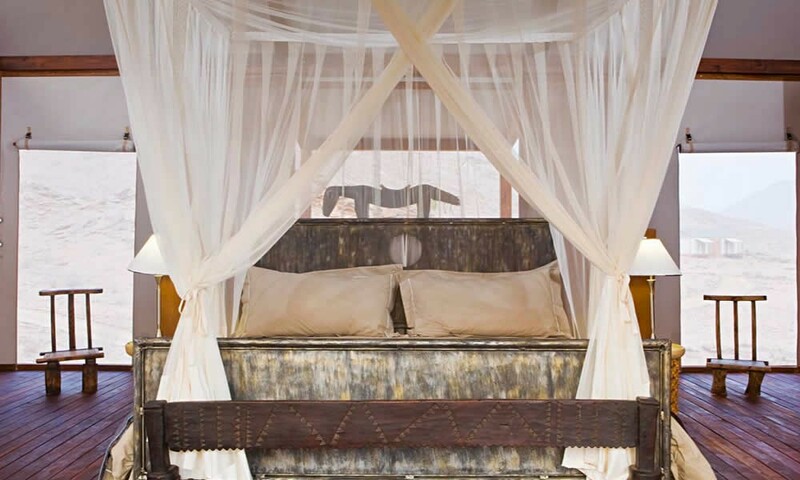 A King-size bed and minimalist African style decor complete the unique atmosphere. 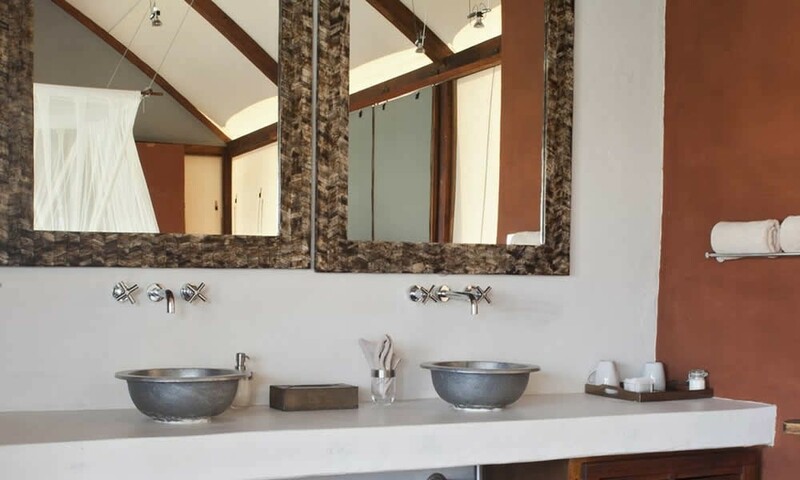 The bathrooms feature double basins, a choice of indoor chromotherapic shower featuring a 60 cm wide head, or a panoramic open air shower. 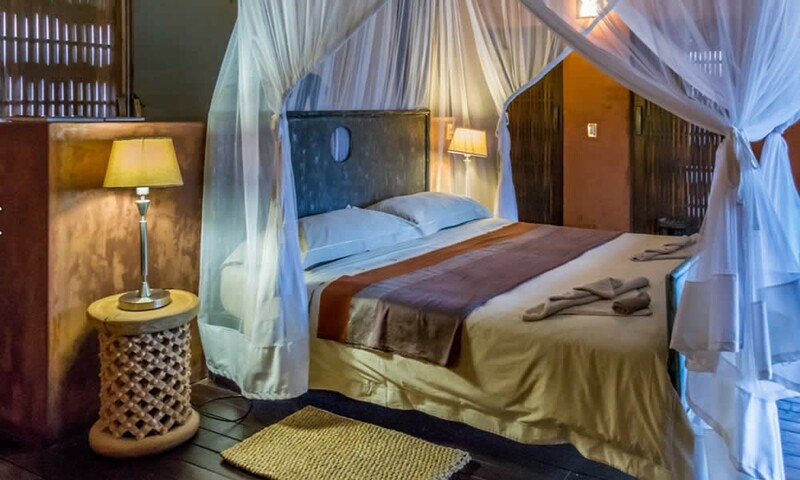 The family suite is a huge 140 square metre cottage with 2 bedrooms, each one with its own bathroom and a private veranda for utmost comfort and the exclusive right of being at one with nature. 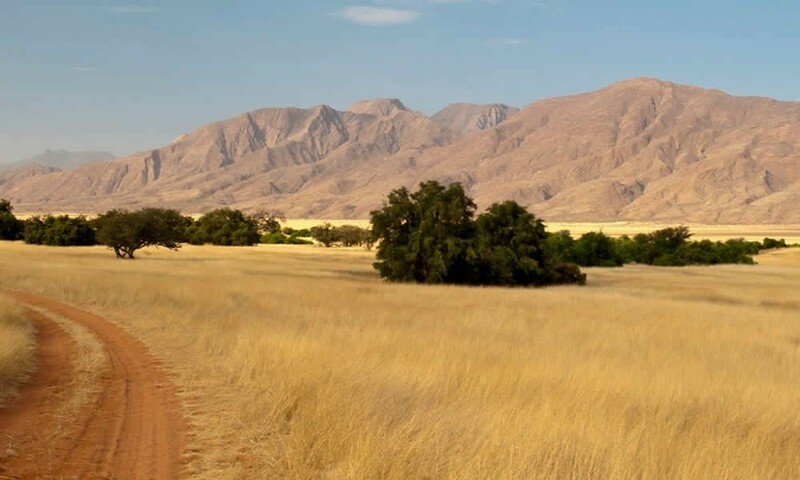 The region is home to some of the last truly semi-nomadic desert-dwelling tribes of Himba descent, with whom we enjoy relations of mutual respect.